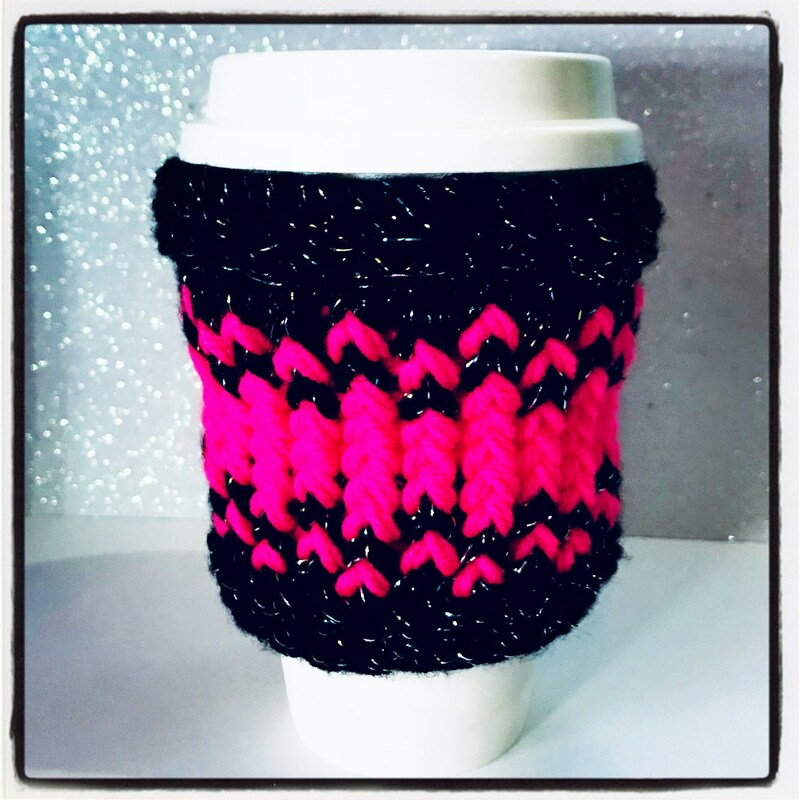 Pretty in pink coffee cozy, drink warmer neon pink, sparkly black. Our pretty in pink eco-friendly loom knitted coffee cozy/drink warmer is a must have, to keep your drink warm. With its neon pink and black glitter yarn, it’s fashionable as well as practical. Our coffee cozy’s make a great gift idea, just add a gift card for that special someone’s favourite coffee shop. Fits most takeaway coffee cups, shown here on a regular coffee travel cup. Made with 100% premium yarn. Care instructions-hand wash and dry flat. Really love this :) works great and nicely made. Thank you. Please contact me for amy custom/personalised order, I will be happy to help. Can I get a refund if unsatisfied? We offer refunds. You must contact within 7 days of receiving item, item must be returned within 14 days of receiving item. We currently do not offer gift wrapping services although if you contact us directly we will try to arrange something. Peach, beige messy bun hat adult.